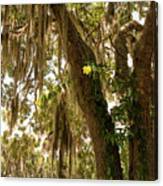 Yellow allamanda (flower) as a vine grows hanging on the live oak tree. 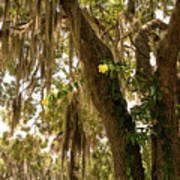 Allamanda also known as: golden trumpet, common trumpetvine, yellow allamanda, And Spanish moss grows hanging from the tree branches. 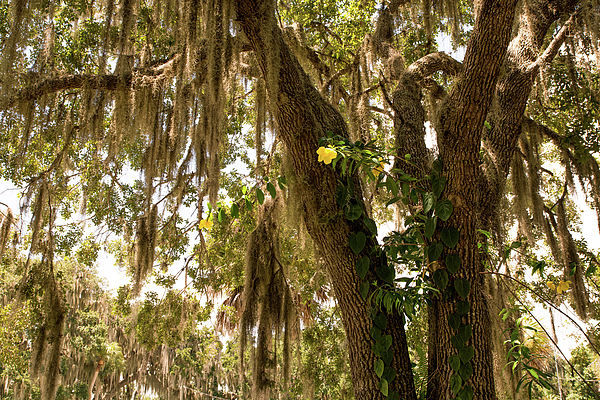 Florida nature.